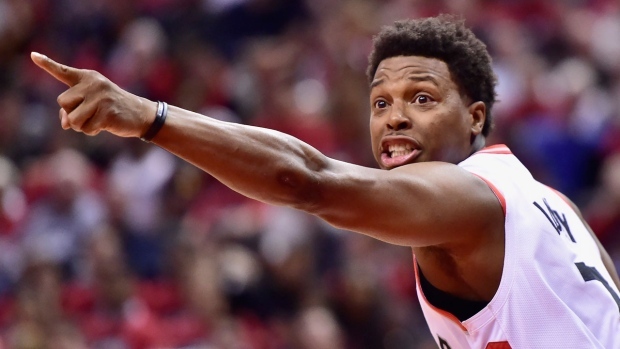 TORONTO -- The Scotiabank Arena crowd let out a collective groan when Kyle Lowry's two free throws bluntly bounced off the rim in the third quarter Saturday night. Lowry's performance was like a song on repeat, a cruel joke for a player who's historically horrible in Game 1s. He's scored 33 points in series openers the past five years -- combined. But if history has proved anything, he usually bounces back with solid games. "So what do you say? I say to him you are going to have to take these shots. They are rhythm -- of the six threes, five of them were wide open. Those are shots he's going to have to take and he's going to continue to take them." The Raptors find themselves in a familiar position when they host Orlando in Game 2 on Tuesday -- having to dig out of a proverbial hole. Only seven per cent of teams that have gone down 0-2 have fought back to win playoff series.